We pride ourselves on having a variety of steel services that are able to meet almost any application. We have you covered when it comes to solutions for steel that is slit, sheared, cut-to-length, or blanked. Slit production of steel coils in widths of ½ inch to 72 inches. Steel thickness in gauges of 0.010 inch to 0.325 inches. We take great care to select and process our inventory to your exact specifications. Our inventory of steel coils is not only evaluated by gauge and width, but also by physical and chemical properties. We identify 14 chemistries; Tensile, Yield and Elongation; R/N Values; and Rockwell hardness in order get your order correct. We can level widths up to 72 inches. Able to process gauges of 0.010 inch to 0.500 inch. Sheet/blank lengths up to 240 inches and beyond. We take great care to select and process steel sheets and blanks to your exact specifications. Our steel sheet inventory is evaluated by gauge, width, and length, but also by physical and chemical properties. We identify 14 chemistries; Tensile, Yield and Elongation, R/N Values, and Rockwell hardness. We have one of the largest and most diverse inventories in the steel service industry. Listed below are descriptions of our most common steel types. HOT ROLLED BLACK (HR) is the least processed form of carbon steel. It is the base metal for other steel types. It is produced when the metal is rolled above its recrystallization temperature. HOT ROLLED PICKLED and OILED (HRPO) is hot rolled carbon steel that is passed through a pickling line to eradicate the scale from the surface. Pickling is a process of applying acid to the steel to remove the oxide layer from the surface and then is followed by light oiling. COLD ROLLED (CR) is hot rolled carbon steel that is reduced in gauge, annealed, and then temper passed to improve the surface and flatness. It then becomes a base metal for other steel types, or sold “as is”. 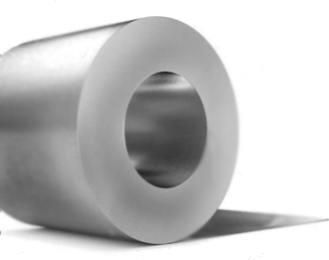 ALUMINIZED (ALMZ) is hot or cold rolled carbon steel that is coated with an aluminum-silicon alloy by the hot-dip process. COATED STEEL is steel that is galvanized, electro-galvanized, galvanneal, and galvalume. Listed below are descriptions of our common steel grades.